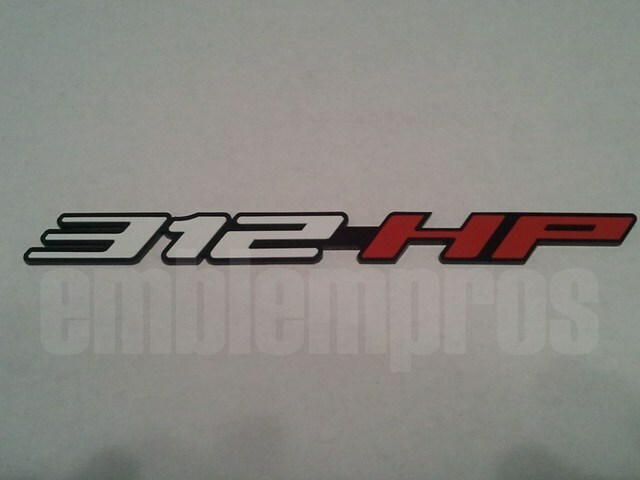 This is a custom built emblem to suit exactly what you want it to say, and the colors you want it in. You pick the numbers, and measurement (HP or TQ), and the colors of the emblem. The emblem will be made from solid color plastics and they will have 3M double-sided automotive tape pre-applied to them. When you receive them, just clean the area with alcohol, and then remove the liner form the tape and stick the emblem into your desired location. All emblems will be .66" tall, and the length will vary based upon what numbers you select. For example, 111 will be shorter in length than 555. As a gauge, the above emblem is 7.4" in legth at .66" tall. It is safe to assume that most setups will be around this length. If you want something different in size, email us and we'll be glad to accomodate your needs.